My family really loves lemon flavored desserts. 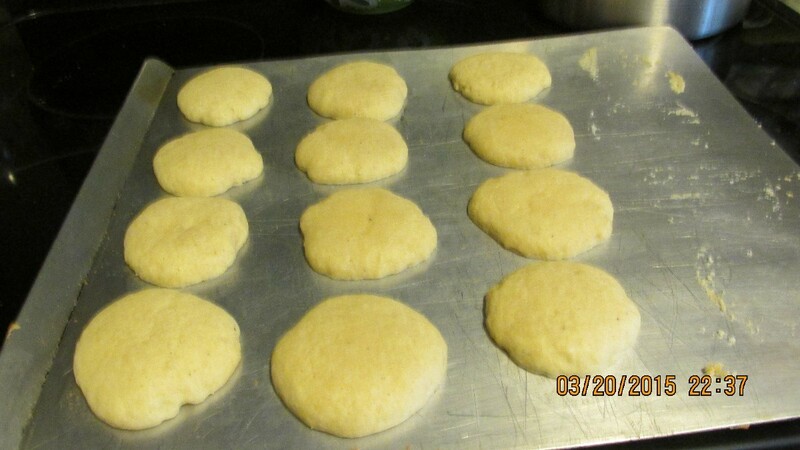 This can be just a basic sugar cookie recipe of your own, or use mine with lemon flavorings. My recipe is for soft puffy sugar cookies. Mix sour cream and baking powder in a small bowl and set aside. Beat butter and sugar until fluffy, adding eggs one at a time mixing well. Blend in nutmeg, lemon extract and sour cream mixture. Slowly add flour and mix very well. Refrigerate for 30 minutes. Place cookies on a cookie sheet. Bake for 10 minutes. Remove from oven, cool on a rack for 10 minutes. Continue cooling for 30 minutes before icing. 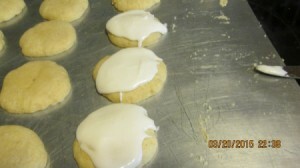 To make icing, mix 2 cups confectioner's sugar, 1 tsp. lemon extract, and 1/4 cup milk or dairy creamer.